Caption slip reads: "Photographer: Mitchell. Date: 1957-08-21. Assignment: Dog belongs to suspect Harry Schwartz. 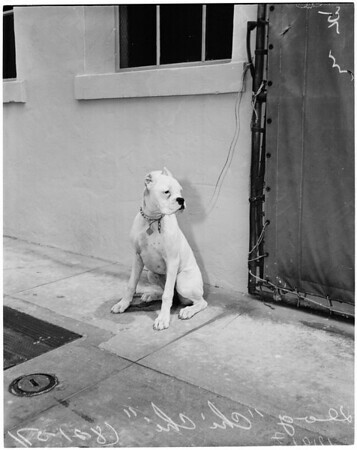 79/80: Dog 'Chi Chi' at Ann St. Animal Shelter belongs to suspect Harry Swartz [sic]".